A diagnosis of cancer suddenly plunges a family into a world filled with medical jargon, side effects and life-altering decisions. But at Froedtert & the Medical College of Wisconsin, families are never abandoned to the system. 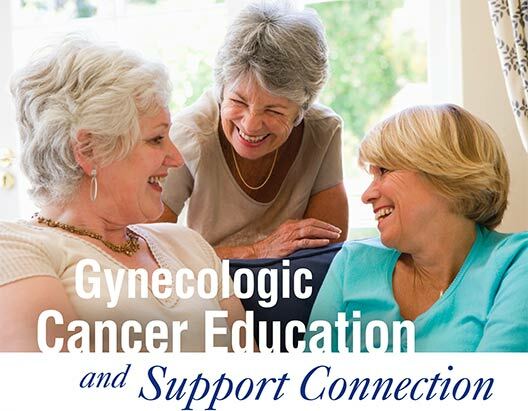 The staff in the Gynecologic Cancer Program works hard to ensure that patients and families have all the information they need, when they need it. Nurse practitioners provide education and support to the families of all patients undergoing chemotherapy. They discuss expected reactions, side effects and comfort measures. When questions arise at home, as they often do, they are only a phone call away. Registered dietitians are available to meet with patients as well. A dietitian works with women to establish eating plans that maximize health during and after treatment – a plan that respects each person’s likes, dislikes and physical condition. Dietitians also help patients struggling with lack of appetite or nausea during treatment. Many women want to share information and receive encouragement from others who are going through a similar experience. Froedtert & the Medical College of Wisconsin Cancer Network offers support groups for people with cancer. View the options for our cancer support groups. No matter where you are in your cancer journey, please join us.